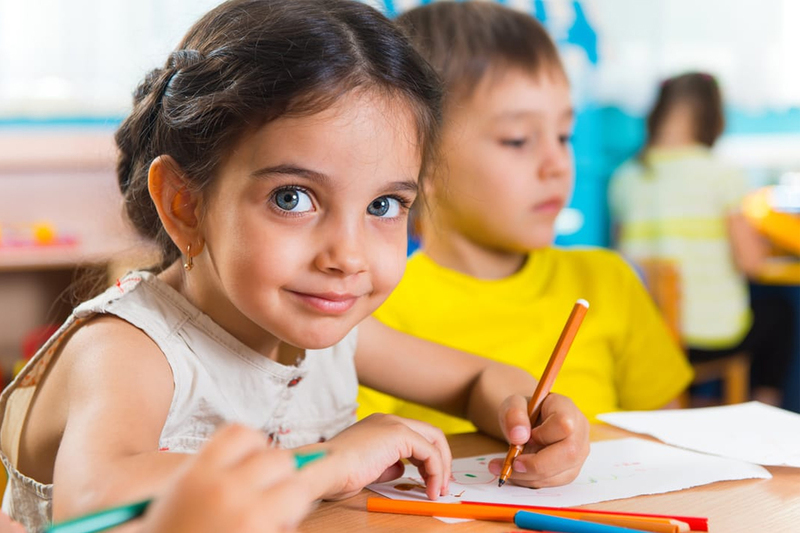 Our 4’s program is designed to prepare your child for Kindergarten by further expanding upon the developmental aspects of their individual growth. In Pre-Kindergarten (Pre-K), space and materials are carefully arranged in learning centers to promote active learning. The balance between child-initiated and teacher-planned activities is critical in the learning process as teachers encourage learning in specific content areas while giving children the freedom to make choices as they explore their environment. Provide a rich environment in which children can expand their skills and independent learning. Ignite wonder with outcomes-based learning activities that will foster a deeper understanding of a child’s world. Develop essential readiness skills through play and investigation that will allow them to create a strong academic foundation for successful life-long learning. Create a safe environment where children can explore and learn confidently.